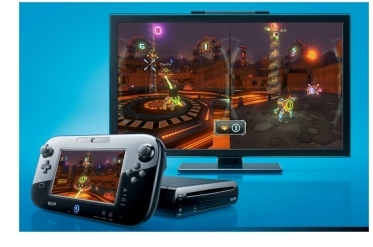 Nintendo today announced that the new Wii U console will be launched in Europe on Friday 30th November 2012. 2 x AC adapters for console and GamePad. Access to the Nintendo Network which will give points and discounts to players for game downloads. No recommended retail prices were announced for the UK, Nintendo would only confirm that prices would vary throughout Europe. However in the US the Basic White 8GB version will cost $300 and the Platinum 16GB version will cost $350. Accessories from the original Wii console are compatible, so many people will already have a Wii sensor bar and nunchuk controller which are not included in the basic package. They will however be available to purchase new if necessary. The US launch is slightly earlier on the 18th November whilst Japan will have to wait until 8th December.